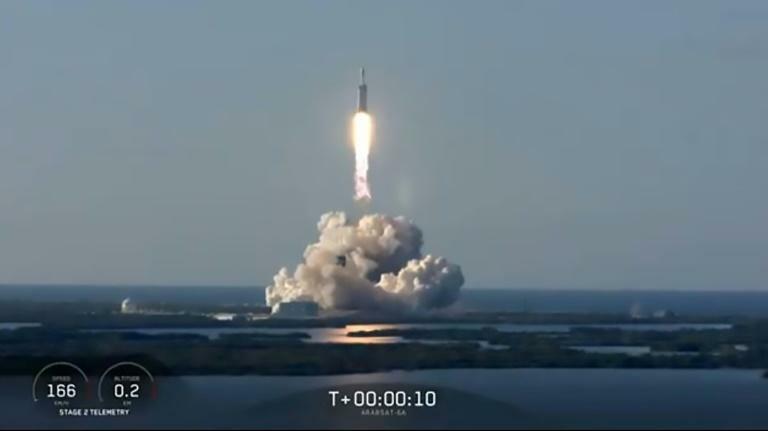 Less than 10 minutes into the flight, the rocket's three boosters detached from the Falcon Heavy on schedule. "Three for three boosters today," a SpaceX webcast commentator said. In Falcon Heavy's first launch, in February 2018, a dummy dubbed Starman was placed behind the wheel of Musk's roadster, which is currently orbiting the Sun somewhere between Earth and Mars.